Slam Dunk Racing’s Axelrod into the Classic (G1) off a second place finish in the Pennsylvania Derby (G1) after a pair of graded victories in the Smarty Jones (G3) and Indiana Derby (G3). 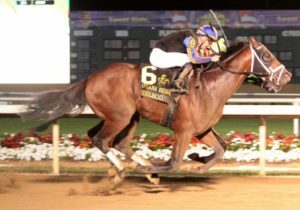 The 3-year-old Florida-bred son of Warrior’s Reward, trained by Mike McCarthy, has compiled a 10-4-2-1 career record and has earned $732,925. He was purchased for $25,000 by Slam Dunk out of the Bobby Jones Equine consignment at the 2016 OBS Winter Mixed Sale. 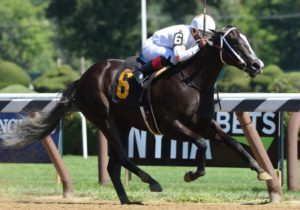 Uriah St. Lewis’ Discreet Lover pulled off the upset of the year in the $750,000 Jockey Club Gold Cup (G1) at Belmont Park, getting up in the final yards to beat Thunder Snow by a neck at 45-1. 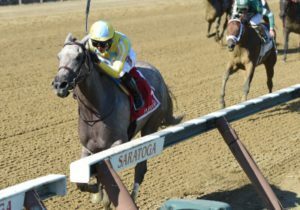 It was the second graded stakes win for the 5-year-old Florida-bred son of Repent, who was consigned by Woodford Thoroughbreds to 2014 OBS August Yearling Sale. 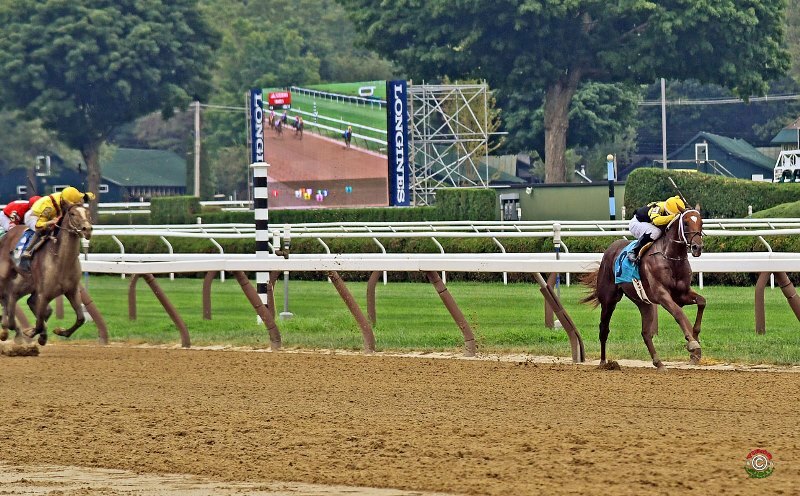 Trained by his owner, he has won or placed in five graded stakes, compiled a 44-7-7-7 record and earned $1,354,060.